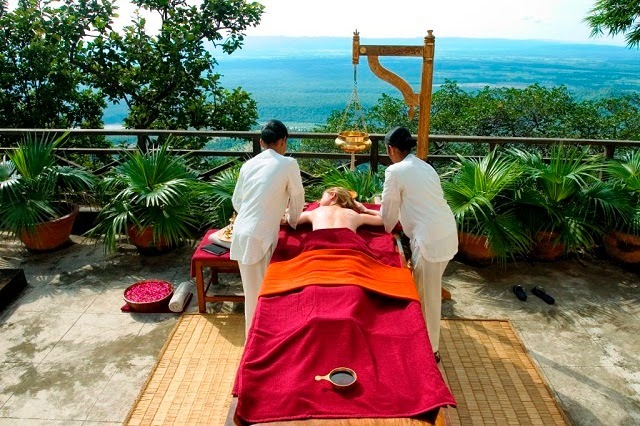 With the arrival of big names like Ananda, Angsana, Jiva and Shillim, spa and Ayurveda in India has really come of age. From the beachfront escapes to the oasis of peace and rejuvenation at scenic alpine getaways, we have listed the best spa and Ayurveda resorts in India right from the cocoon of tranquility in the Himalayas to the serene and scenic backwaters of Kerala. However these luxurious spa destinations in India are not for the ordinary travelers. For those seeking bliss and rejuvenation,, these spa resorts in India offering wellness therapies comes at a steep price. The Ananda Spa sprawls over an area of 24000 sq ft, offering an extensive range of almost 80 body & beauty treatments. These treatments and therapies exhibit the perfect mix of traditional Indian systems of Ayurveda and modern Western spa techniques. Ananda Spa is praised for establishing an ultimate harmony between the mental and physical realms of individual. With the perfect mix of traditional practices of ayurveda and contemporary techniques of Spa, Ananda successfully offers personalized activities and therapy program, majorly focused on de-stress, cleansing, detoxification, deep relaxation, weight & inch loss, anti-ageing, and guidance in nutrition and exercise. There are 24 treatment rooms featuring specialized areas for Ayurveda, European and Oriental systems of holistic health. To provide the best of the treatments and therapies, there is a team of qualified nutritionists, spa therapists, and Western & Ayurvedic physicians. There also is a temperature controlled outdoor lap pool and a robust 16-station life-cycle gymnasium for the guests. The best time to head to this destination spa in the lap of Himalayas is during summer. And that is why we have also featured Ananda Spa Resort as one of the best summer destinations in India. The Oberoil Spa at Wildflower Hall is one major factor that makes the resort get listed amidst the top luxury destinations in India. The spa is praised for offering a array of holistic treatments, which are based on Ayurvedic, Western & Asian therapies that help to rejuvenate, relax, and inspire. The spa pavilions, along with tranquil views through verdant green pine & cedar forests, offer a peaceful haven where the guests can revitalize themselves thoroughly. The fitness center is also available for guests interested in an energizing workout. The guests can also opt for intense full-body workout through the robust muscular training and cardiovascular equipments. For an unspoilt spa experience, there is the Spa Menu, which includes Signature Indigenous Rituals, Massage Therapies, Revitalizing Body Therapies, Skin & Nail Care, Treatments & Therapies For Gentlemen and Ayurvedic Therapies. In addition to this, there also us a special range of the Oberoi Spa Experience that includes Specialty Baths, Yoga, and The Complete Spa Experience. Also check out our feature on luxury hotels in Himachal Pradesh for more travel ideas if you are looking to escape to this region in Himalayas blessed with natural bounties. The Spa at the Leela Goa majorly focuses on Ayurvedic spa treatments. To offer the best of the treatments and therapies, there is team of professions, including Ayurveda doctor and trained spa therapists, is appointed at the spa. 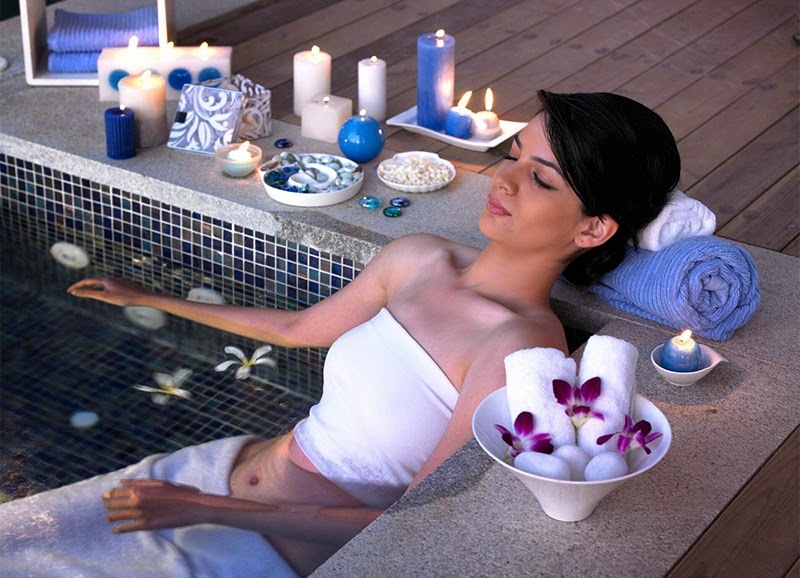 The Spa Menu features an extensive range of Western & Eastern body spa & facial spa treatments. Yoga and well-being sessions are also included in the menu. The Spa also features a fully equipped gymnasium, saunas and steam rooms. The spa treatments and therapies are designed to offer ultimate personal pampering. Guests can choose from an extensive range of Holistic and Ayurvedic treatments featuring face & body spa therapies. Moreover, to maintain harmony between mind, soul and body, there also are Yoga and wellness sessions available. The Spa also features a well equipped gymnasium and sauna & steam bath. Looking for more travel ideas for indulgence and wellness in Goa? 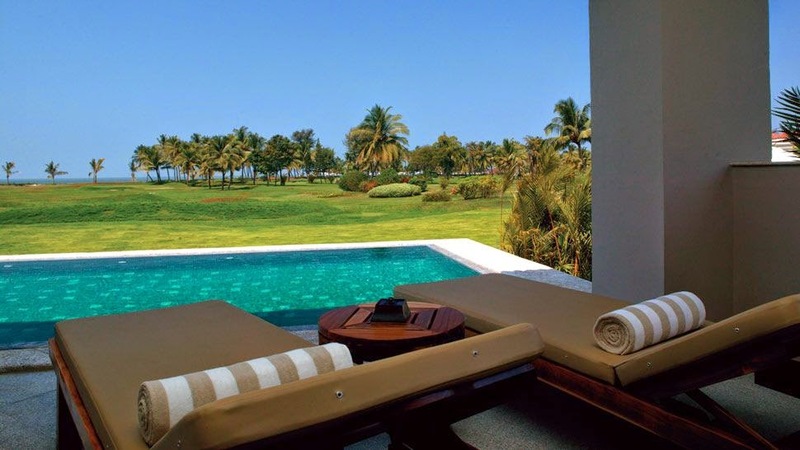 Check out our post on 5 Best Luxury Hotels in Goa. The Angsana Spa Bangalore wins accolades for offering the experience of the ultimate luxury of first spa retreat of India. Herein, the guests enjoy a unique spa concept, including a wide assortment of spa therapies and treatment packages focused to refresh and rejuvenate the soul & mind. The Spa is also acclaimed for offering award-winning treatments. The treatments and therapies are majorly focused on the therapeutic sense of touch. The Spa also adopts fresh flowers and ingredients with aromatic essential oils to rejuvenate your senses. The special signature packages also help the guests to indulge in a time-tested spa treatments. The skillful hands of the Angsana Spa therapist help in providing the delightful experience. The spa session is also provided with complimentary 30-minute Calm Time of relaxation and refreshments. The Oberoi Spa at New Delhi is praised for offering a rejuvenating escape from the humdrum of the city life. Sprawled over an area of 9000 sq ft, get indulged into the warmth of the contemporary façade featuring stunning Turkish marble and Oakwood interiors. The Spa is nestled by the pool, featuring 8 therapy rooms, an Ayurveda therapy room, and a hydrotherapy room. The therapists offer pampering treatments followed by a cup of warm herbal tea. The guests can also opt from personalized and extended programs. 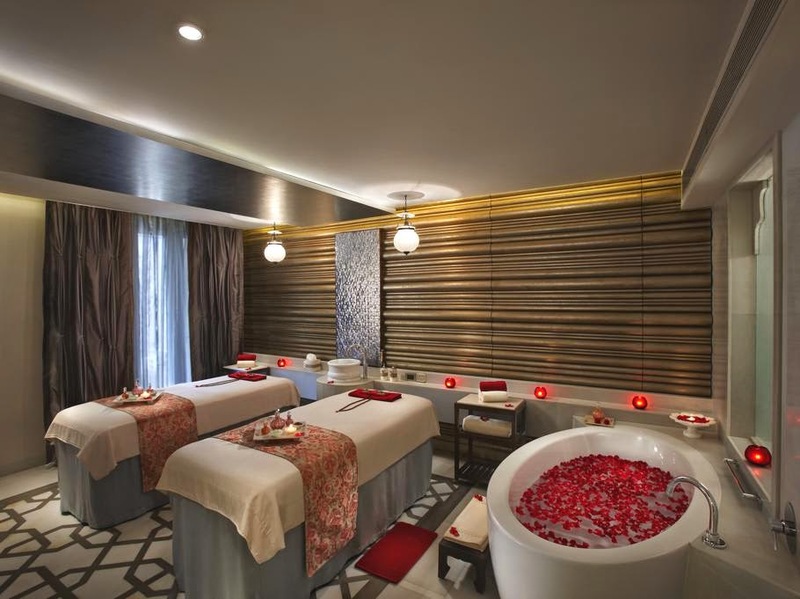 After a full-day sightseeing tour in Delhi, indulge in an unspoilt spa experience. Choose from the spa menu, which includes signature indigenous rituals, massage therapies, revitalizing body therapies, skin & nail care, and treatments & therapies for gentlemen. In addition to this, there also us a special range of the Oberoi Spa Experience that includes Ayurvedic Therapies, Specialty Baths, Yoga, and The Complete Spa Experience. Oberoi is considered to be one of the finest luxury hotels in Delhi. Also read our post on 5 Best Luxury Hotels in Delhi. The Oberoi pa at the Udaivilas Udaipur is praised for its location, overlooking the lake offering haven of serenity. The rejuvenating treatments, offered by trained therapists ensure a relaxing experience for both body and soul. There are separate spa suites, offering beautiful views of the City Palace and Pichola Lake, equipped with ultramodern facilities and amenities. There are highly skilled & trained therapists offering a huge list of authentic therapies and treatments. Further, the guests can choose from an extensive Spa Menu that includes Signature Indigenous Rituals, Touch Therapies, Revitalising Body Therapies, Spa Experience Enhancers, Skin and Nail Care, Treatments and Therapies For Gentlemen, and Ayurveda Inspired Rituals. There also is The Oberoi Spa experience menu available that features Speciality Baths, Yoga and meditation, and The Complete Spa Experience. In the legendary city of Taj Mahal, Kaya Kalp at ITC Mughal in Agra is the royal spa, acclaimed for presenting the traditional charm of the Mughal architecture and landscaping. The spa features channels of running water, outdoor rain water showers, fountains, courts with verdant greenery, and open skies. The interiors of the Spa also feature decoration with stone latticework, inlay, mirror work and mother of pearl. The royal spa presents the perfect mix of tranquility, Mughal traditions and contemporary therapies & treatments. Sprawled over a vast area of 99000 sq ft, the spa is accredited as the largest spa in India. The therapies and treatments, included in the royal spa menu, are influenced by ancient customs, assuring meaningful experiences. 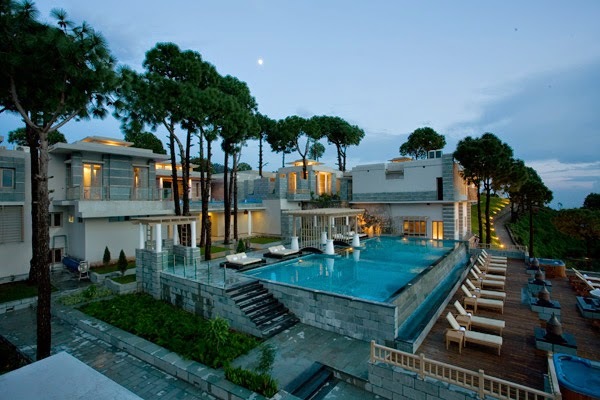 The guests can also be sure of the unspoilt rejuvenating experience. If you are planning a trip to Agra and looking for more ideas to indulge at some of the finest properties, then read this post on 3 best luxury hotels in Goa. Spa Cenvaree at the Moksha Spa Resort Parwanoo is one of the finest spa resorts in North India. The major focus of the spa is to offer rejuvenation and relaxation through signature Moksha Service. The Spa is also acclaimed for adapting the philosophy “Rebirth” and “Release” to attain the perfect peace experience. The therapies and treatments are also effective in focusing on the seven energy centers of an individual. Thus, with focus on Sahasrara, Ajna, Vishuddha, Anahata, Svadhisthana, Muladhara, and The Solar Plexus Chakra, the individual enjoys a renewed sense of wellbeing. The spa menu at the Cenvaree is planned with a Holistic Approach and includes a huge range of Ayurvedic Massages and Oriental Massages. Along with offering Moksha Signature Rituals, the menu includes Couple Retreat Programs, Moksha Face Care, Exclusive For Him/Her, Hand & Foot Care, Classic Line, Hammam Ritual and Multy- Day Spa Retreat Programs. Khyber Spa by L’OCCITANE at the Khyber Resort and Spa Gulmarg is situated at an altitude of 8825 ft above the sea level. The guests can enjoy the treatments and therapies amidst meadows and unspoiled nature. The spa is also acclaimed for offering luxurious and holistic well-being experiences. The spa rituals are inspired by the Provencal, using Immortelle from Corsica and Shea from Burkina Faso. Additionally, the treatments are influenced with the mix of the west and the east. There also is Swedish, Hawaiian, Lomi Lomi, Balinese and Shiatsu influence available in exclusive sequences of L’OCCITANE. With sessions, the guests also seek to enjoy the pampered journey through relaxing music, gestures, herbal teas and sensorial textures. All these are inspired by the Provencal rituals. Moreover, the therapies and treatments are provided using the traditional methods and techniques. The spa menu features Facials, Body Massages, Body Scrubs, Wraps, Body Technical Treatments, Wet Treatment and Baths. 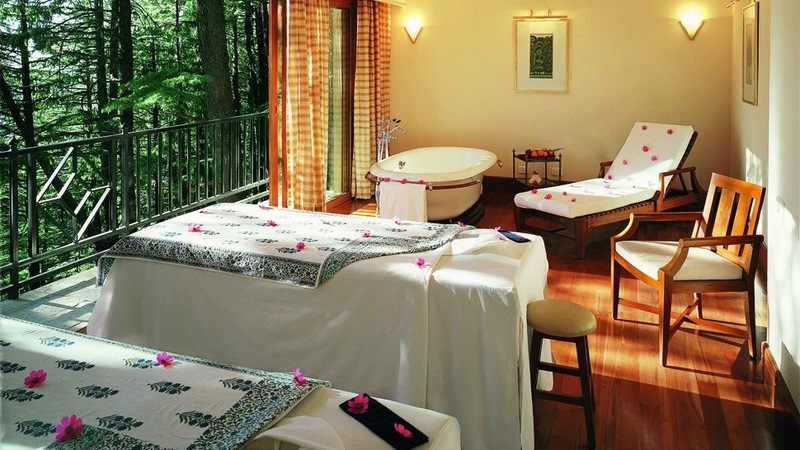 Spa Esencia at The Terraces Kanatal is recognized as the world's best spa resorts due to its ideal location and natural setting surrounding the resort. Factors, such as luxury, seclusion, exclusivity and holistic approach, focus towards the well-being and health of the individual. Together with the treatments and therapies, the serene location of the resort also plays a crucial role in providing a tranquil and relaxing experience. A la Carte menu is available to meet the specific needs and requirements of the guests. To benefit the guests with the spa visit, there also are treatments that can be tailored according to the needs and requirements of the guests. Along with various treatments, there are special signature treatments available. The spa menu also features full body therapies for pure indulgence. Known as the Ayurveda capital of the world Kerala alone has the most number of spa and ayurveda resorts than the entire India combined. One such world class spa and ayurveda resort is the Zuri Kumarakom Kerala Resort and Spa. Maya Spa at the Zuri Kumarakom Kerala Resort & Spa is the recipient of various awards and accolades for its excellent facilities and world-class treatments. The spa has received Asia Spa Award for Best Resort Spa in India, for the two consecutive years 2007 and 2008. Moreover, the spa also boasts the distinction of being Condé Nast Johansens’s recommendation. The Spa menu is praised for featuring specialized therapies such as Ayurveda, solar therapies, hydrotherapy, Swedish & Thai Massages, and Sabai stone therapy. There are 14 treatment rooms, equipped with modern-day facilities and amenities that help in ascertaining unspoilt rejuvenation. The guests can also choose from Spa Face Treatments, Therapeutic Massages, Specialized Face Treatments, Treatment for Couples, SPA Beauty Treatments, Maya Fusion Therapies, Maya Signature Therapies, Maya Healing Therapies, Yoga & Meditation, Ayurvedic Treatments, Hair and Scalp, Oriental Treatments, and Rejuvenating Body Therapies. BELA Ayurveda Centre at Isola Di Cocco Kerala has received the Green Leaf Award, which is regarded as the highest in its category for Ayurvedic centers. The therapies and treatments are provided under the guidance of popular Ayurveda doctor (with specialization), and experienced therapists & medical team, offer ultimate exclusivity for guest. The menu features all Panchakarma Packages. The effectiveness of the therapies is also due to the tranquil & peaceful location. There also are various Body Care Program, including Rejuvenation Therapy, Body Immunization Therapy, Body Purification Therapy, De-Stress Therapy, Beauty Care, Slimming Program, Body & Mind Relaxation Therapy, and Anti-Cellulites Program. Along with various Ayurvedic Treatments, the menu also features Yoga and Meditation Program. Through this program, the guests are sure of attaining Physical, Mental and Spiritual benefits.